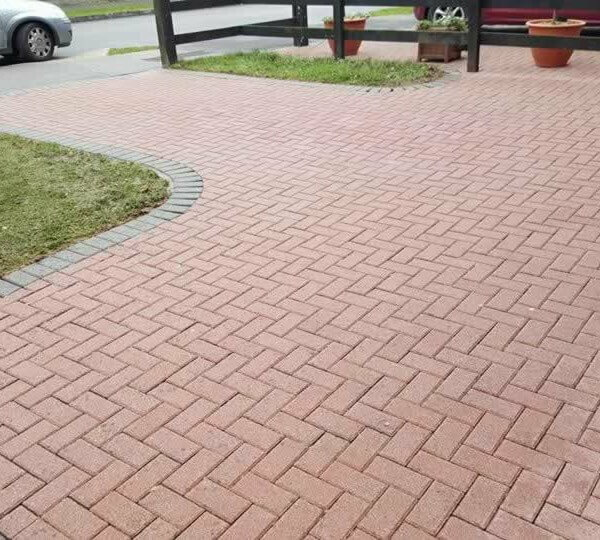 Millions of home owners throughout the UK have invested thousands of pounds on their block-paved driveway only to be disappointed a few years later with how dirty it looks. 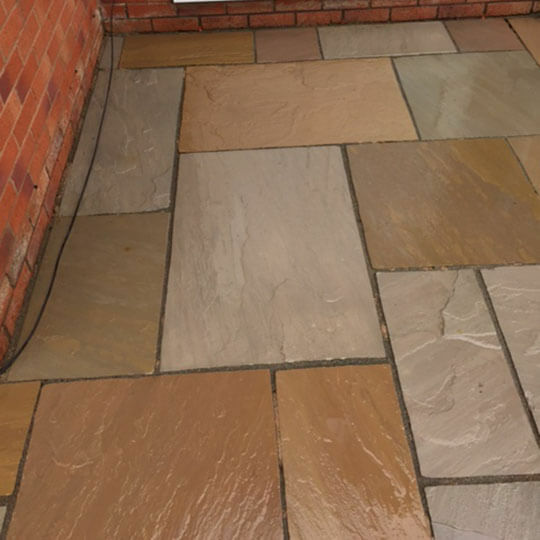 In many cases the colours have a dull, grubby finish and the sand in the paving joints has been replaced by moss and algae. 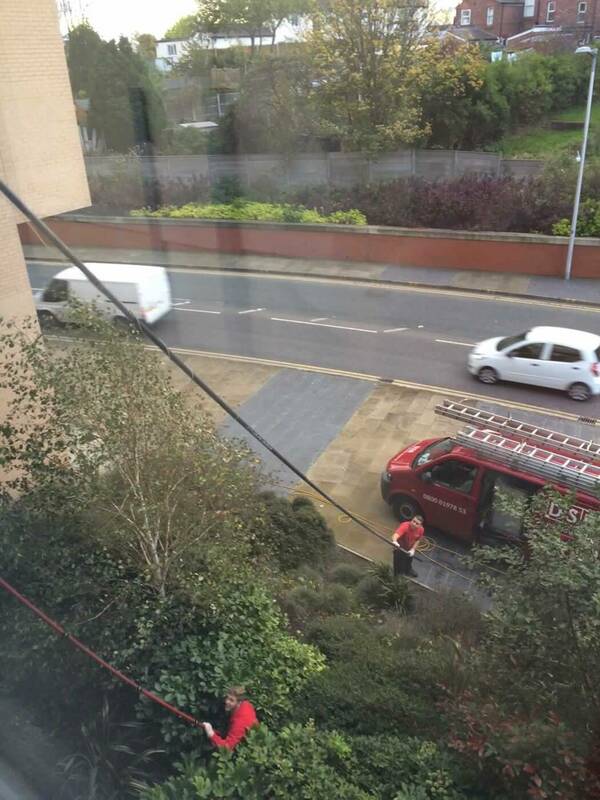 Other areas of the driveway have oil stains and tyre marks. 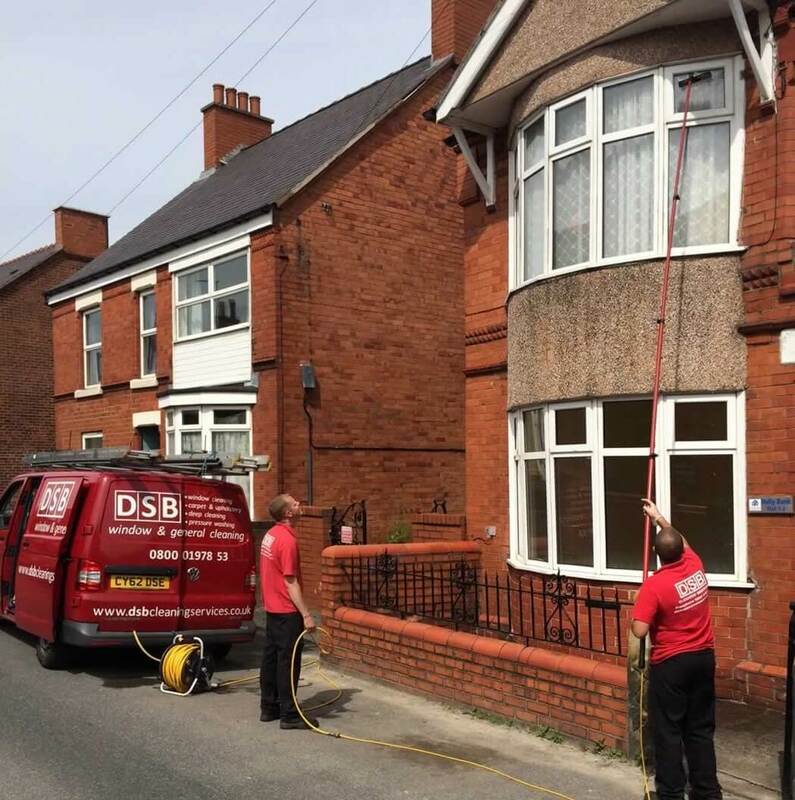 DSB Cleaning Services offer the latest technology in pressure washing and pressure cleaning equipment using rotary headed machines that clean quickly,efficiently and are over 3 times more powerful than an average domestic washer or hired washer. 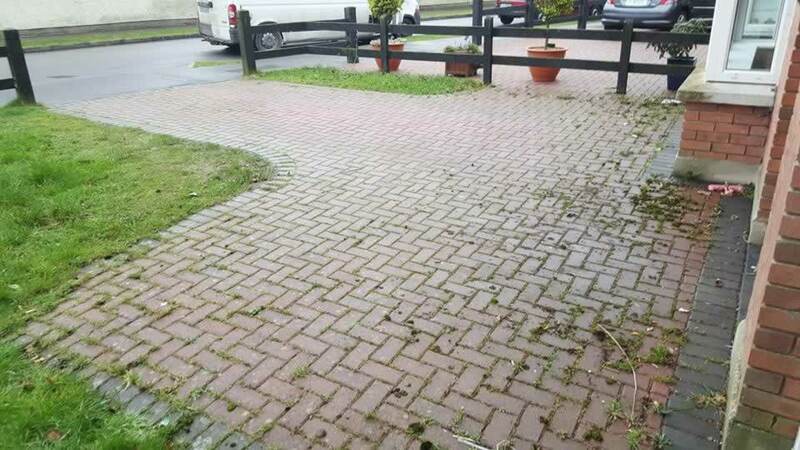 Moss, weeds, algae and general grime will be removed during the cleaning process. 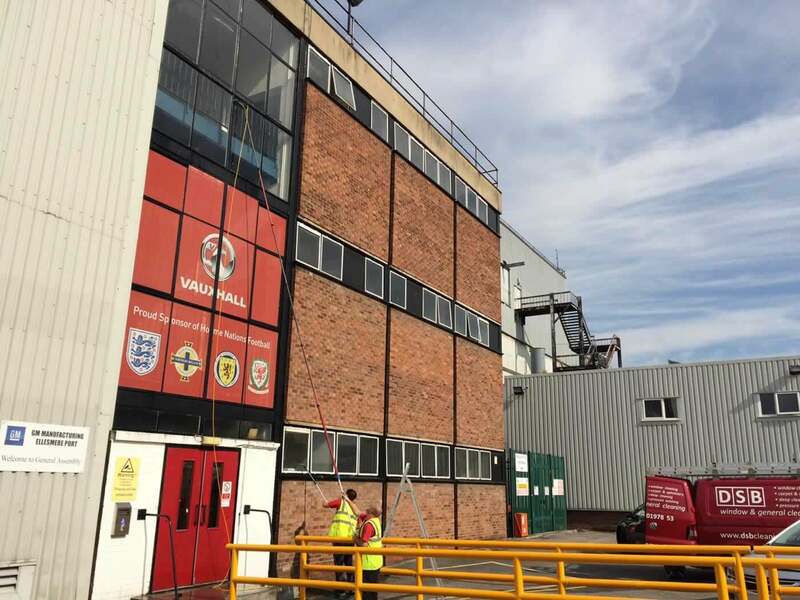 Once dry, we return and put fresh ‘Kiln’ sand compacted back into all the joints. 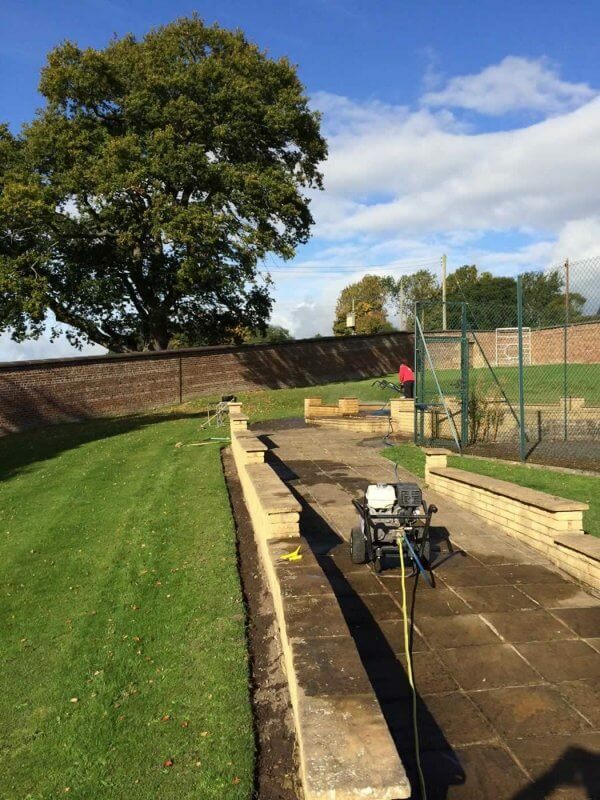 This reduces weed growth, reduces yearly maintenance, improves the overall look of your property and also also adds value to your home. 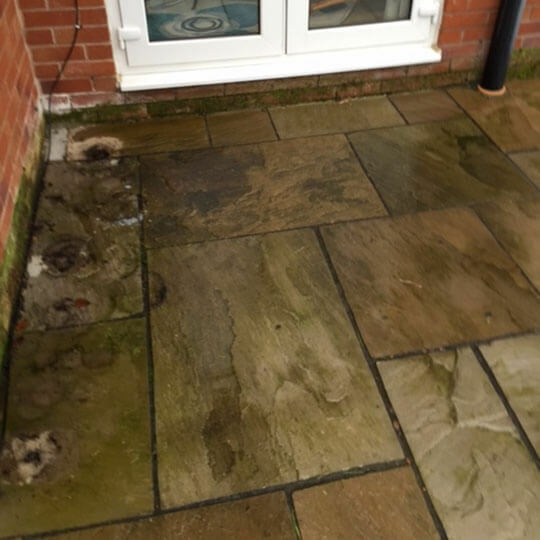 Our pressure washing services are available across the North West including Wrexham, Chester, Ellesmere Port, Llangollen, North Wales, Oswestry, Ruthin, Mold, Denbigh, Rhyl, Northwich and Runcorn. 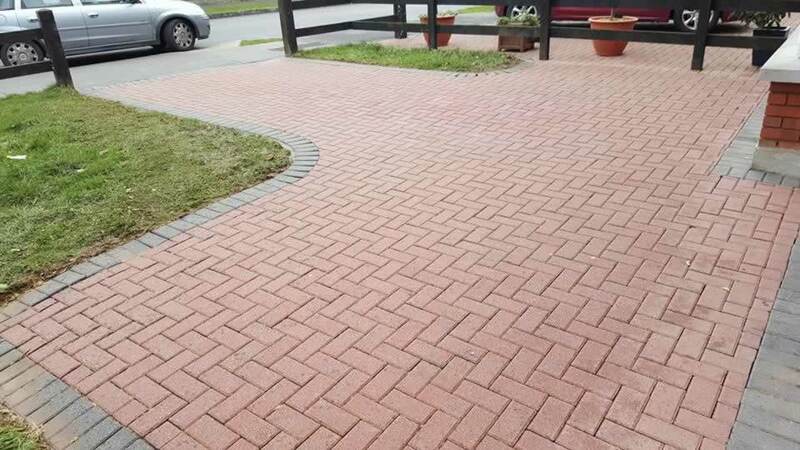 Whenever the block-paved driveway was laid and whatever its condition, DSB Cleaning Services can clean your driveway, making it look as good as new. 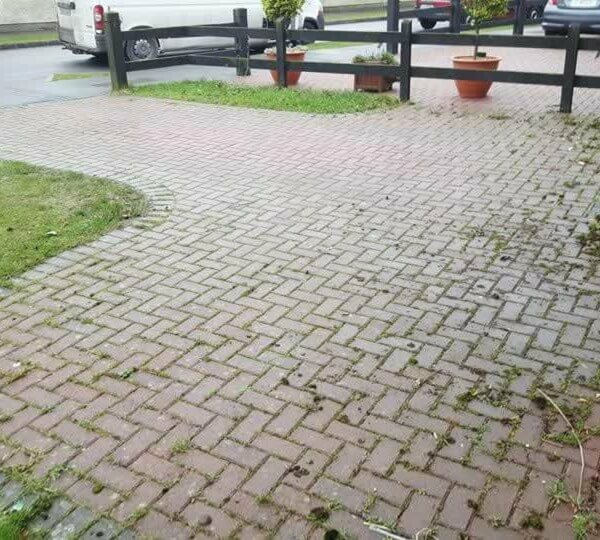 If you think your block-paved driveway or patio needs cleaning, whatever the condition please call DSB Cleaning Services now on 01978 352900 for a FREE quotation.